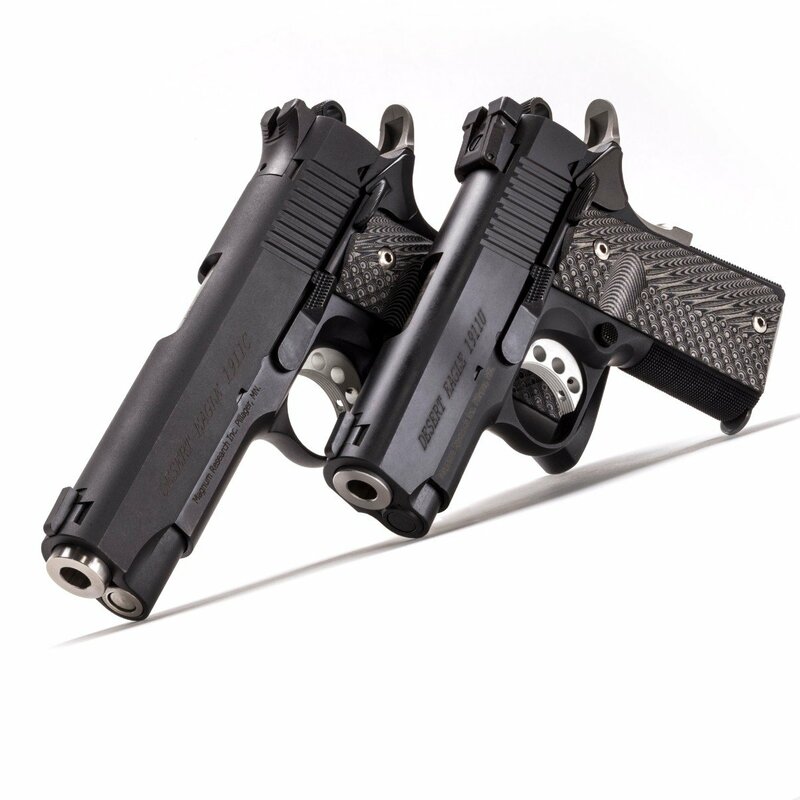 The G (5” barrel) and C (4.33” barrel) models are equipped with fixed combat sights, with fiber optic adjustable sights available through the Magnum Research website. 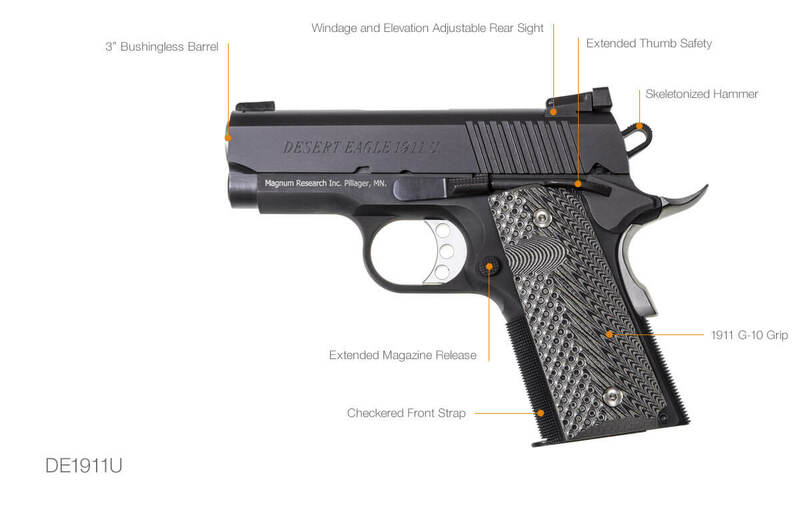 The Undercover “U” (3” barrel) models come with an adjustable rear sight. 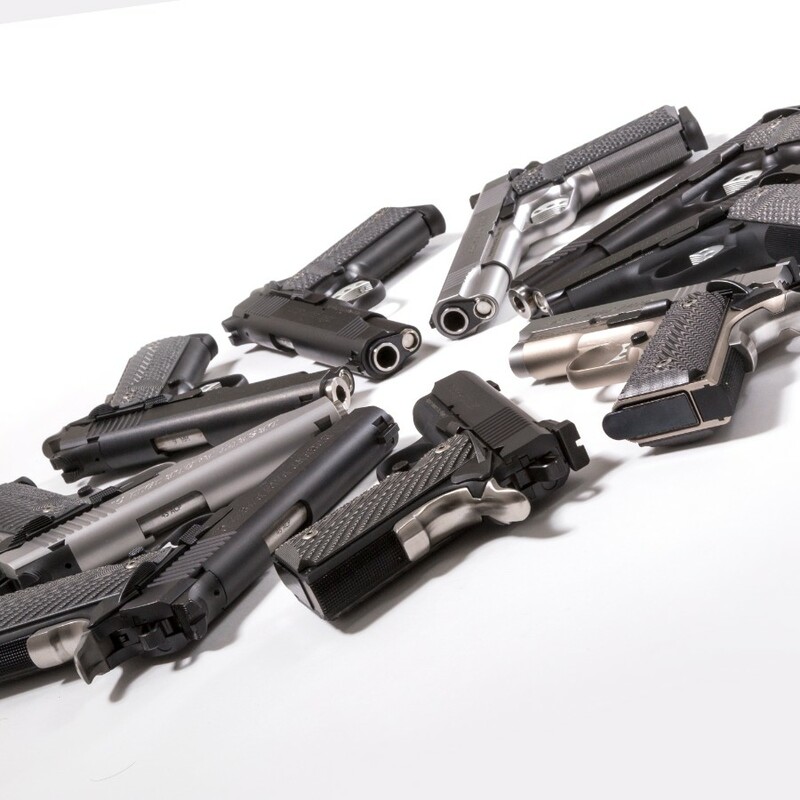 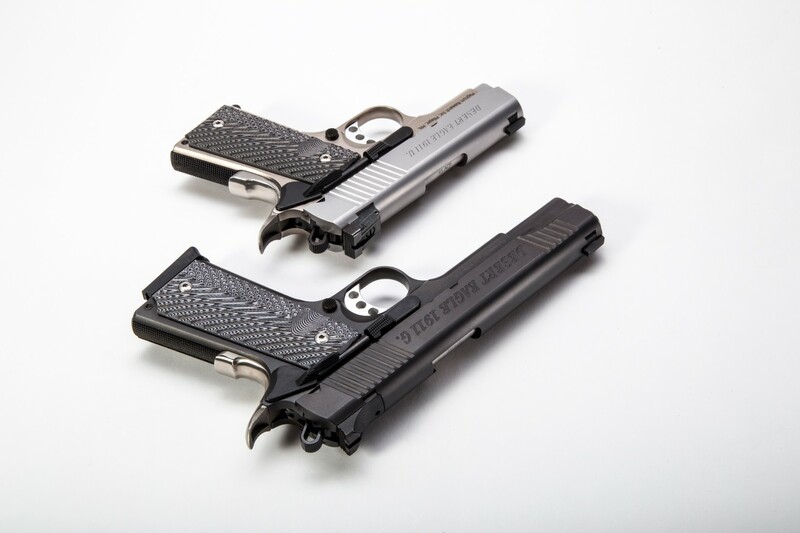 Like many custom guns, they all feature a solid guide rod, extended manual safety and slide stop, beveled magazine well, extended ejection port, and two magazines. 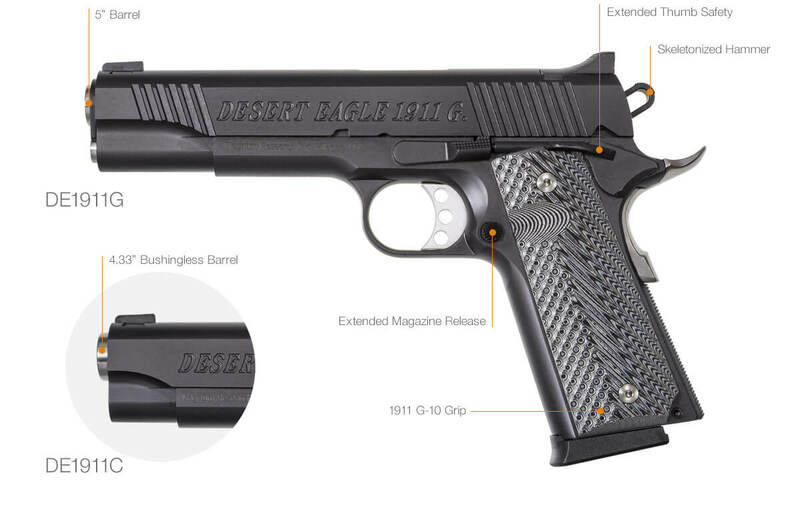 Desert Eagle 1911s chambered in 45 ACP all have a traditional feed ramp machined into the frame, while all 9mm pistols have a ramped barrel with fully supported chamber. 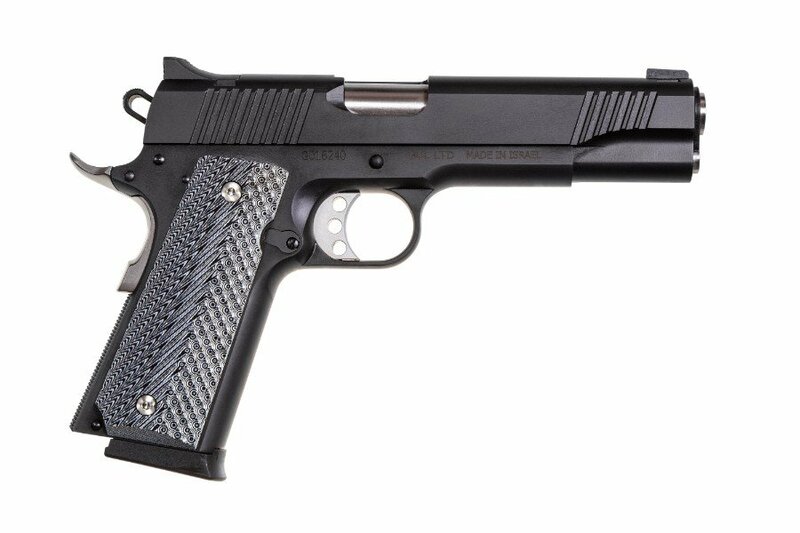 Only the 1911G models have a traditional barrel bushing in the slide. 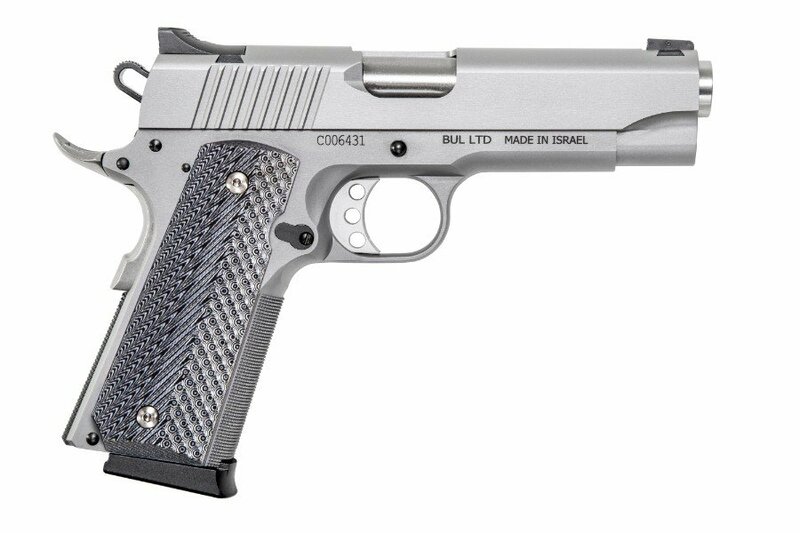 The 1911C and U models feature a bushingless slide and bull barrel. 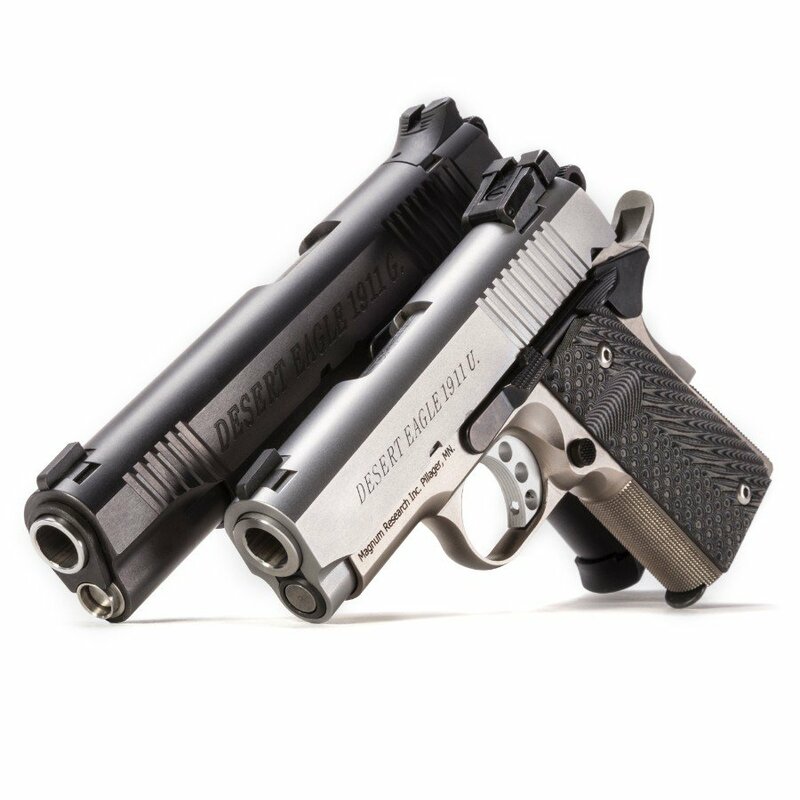 With the shorter slides of the C and U models, the bushingless slide allows for a longer recoil spring and ensures reliable function. 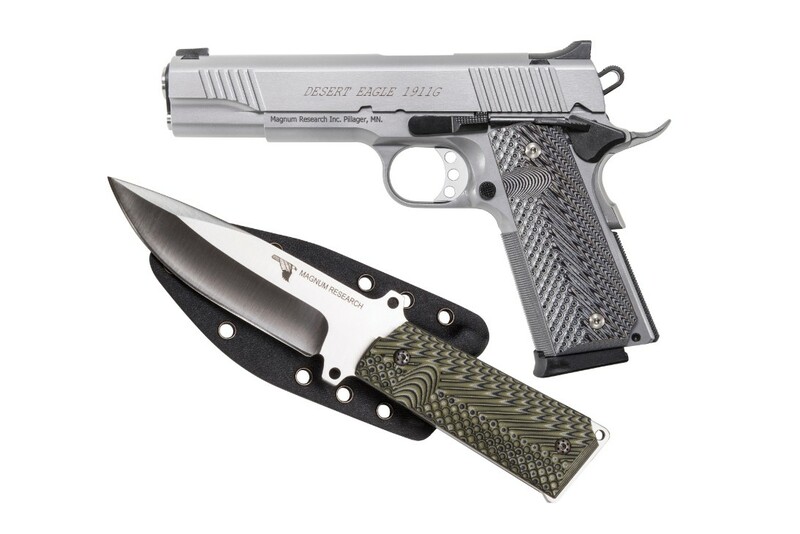 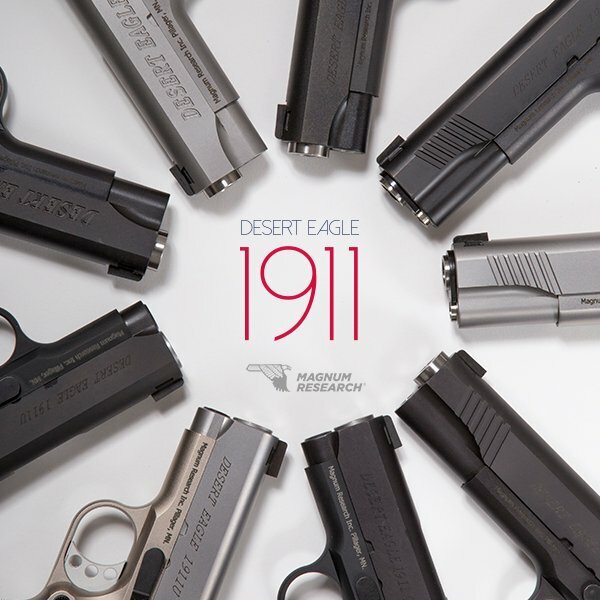 For the money, the Desert Eagle 1911 has no competitors!